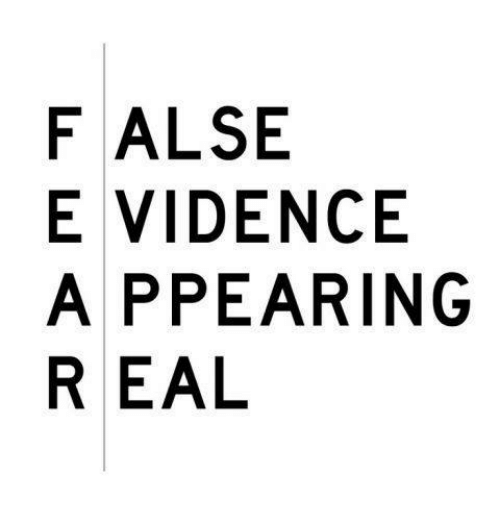 Fear is just that inner voice in our heads that tells us we can’t do this or that because of various reasons. We have been listening to this inner voice since we can remember. It has been shaped and shifted by the events that have occured in our lives. After awhile, it begins to get stronger and then takes over our “reactions” to future events. It tells us worst case scenarios, it dims the light on our strengths and puts our flaws on a pedestal. The inner voice is just that. A voice that we have created and allowed to control us. It is just part of our imagination and we allow it to rule us. Some say fear is related to hormones being released in the body. However, hormones do not just release for the hell of it. Something has to drive these hormones to secrete and instill different emotions. The inner voice has that power to drive the proper stimulus to secrete said hormones. But why do we allow this? The inner voice has been deemed the one and only. Over the years, society has made it okay to have an inner voice and let it shine through. When I was younger, I remember being the happiest person ever. Nothing could get in my way, not even my siblings. Laughing on the playground, I felt like I had nothing holding me back. Fast forward to a few years ago. I remember looking at myself in the mirror, not recognizing who I was. Every morning I looked at myself putting on makeup but I still did not know who was looking back at me. My inner voice was loud and clear telling me that I was “ugly, fat, worthless, and could not amount to anything”. I had lost my dreams and had no desire to fight for my goals. Taking on new challenges seemed impossible and I was terrified to even try. Fear had taken over my life. It was ruining me. My inner voice had so much control that I didn’t know what or how to do anything. I began relying on this voice to get me up, get me ready, and get me back home each day, only to start over the following morning. It took years to slowly diminsh the beast and I still work on it every day. I am not perfect, nor will I ever be but my inner voice no longer has control of me to make me feel less because I am not perfect. Began reading and listening to self help videos. Incorporated more podcasts into my routine to allow positivity to overwhelm me. Cleared out the negativity. Said goodbye to people holding me back, removed junk from my pantry, and cleaned up clusters of who-knows-what lying around my bedroom. Wrote down all that I was grateful for. Simple as grateful to own a broom to clean up after my dog to big and complex as grateful for the lessons I have learned from a specific trial in my life. Once I began to do this, I started to notice my world was getting a little bit more brighter. The fear once instilled in me began to dissipate. Finally, I was able to be happy and enjoy the little things around me again like I was a child. It took time but changes were coming. That voice is still there and sometimes it does get the best of me. When it does, I revert back to my 3 steps. On good days, the inner voice tries to dim my light but I simply acknowledge the voice, appreciate its opinion, and then move on to what I know the truth. My life has not been more fulfilled, even on days when nothing seems to be going right. Gratitude continually fills my heart. Lights are colorful and vibrant. My stature walks tall, my head is held high. You too, can have these blessings become your reality! You have it in you, no matter what that evil spawn says. I am here to support you no matter what. Reach out on social media, comment below, email me and together, we will break you out of the fear and into the light.